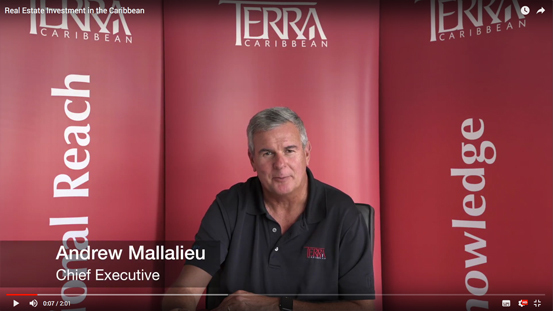 Often market commentators are heard speaking about the Caribbean as if it is a single market for real estate investment. That is like going to the Olympics to watch sports. There is everything from a sprint to a marathon, from horse riding to the hammer throw, and everything in between. Pick a sport please – they are not all the same. From my seat, I get to see the southern Caribbean real estate market from both the helicopter, and in the trenches. While there are similarities it's the differences that provide the insight. The value of real estate is constantly changing. For example, there was a time in Barbados when it would be said that property values only go up. Well we know that not to be true! The last several years have been a painful lesson in real estate economics. So too have been the last 100 years of real estate cycles on the island. In the book “The Sugar Barons” by Matthew Parker, the first real estate boom in Barbados is highlighted having been brought on by the production of “sweet gold” in the form of sugar. The land that produced that sugar and created significant wealth for many generations still exists, but in relative terms it is worth much less today than commercial, residential, tourism, or beachfront land. In the late 1950’s a plantation owner told my father that the land at Sandy Lane was worthless as the soil was sandy and infested with crabs! So what drives the value of land in Barbados as compared to our neighbours of Trinidad, Grenada and St Lucia? In order to answer this question we have looked at what we think are the top 5 drivers of value in various markets across the region. We must make the point that we are referring to the current market, as this too can change, just like the price of sugar changed the value for the plantation lands that produced the sugar cane. The tables below depict the top 5 drivers. Our prediction for Barbados: Property values for foreign investors will improve over the next 5 years while property values in the local market will remain stagnant. The vacation home market will improve as a result of the stronger world economy but the local market that is driven by internal demand is predicted to remain flat for the next 3 to 5 years until confidence can be regained and Government debt reduced to a manageable level. Our prediction for Trinidad: The Trinidad economy is one of the largest in the Caribbean. A recovery in the world prices for petro-chemical products has both an immediate effect on Government revenues as well as the long-term effect of renewed investment in the sector. We expect that the local real estate market will recover slowly over the next 18 months to 2 years. Our prediction for St Lucia: There will be an expansion in the vacation home market and positive returns across the local real estate market as well over the next 2 to 5 years. We are seeing more demand for St. Lucia as a result of the growing tourism base and offshore sectors. 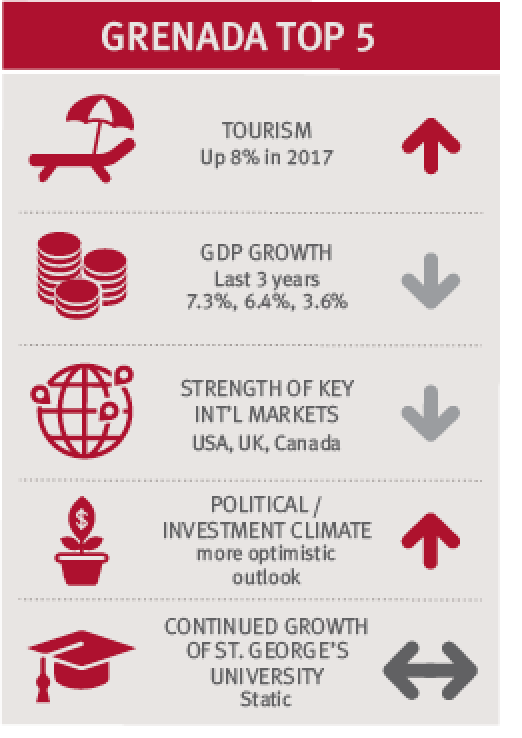 Our predictions for Grenada: We see a slow recovery in the real estate market driven by the improvement in the world economy. The investment climate in Grenada is viewed as improving and it would take only a few projects to further stimulate the market. The common factors amongst Grenada, Barbados and St Lucia are the world market influence on tourism and the environment for offshore business. Trinidad stands out in its susceptibility to the petroleum industry. It is also clear that while the various CBI programmes are a windfall for Government revenues the link to real estate values is not clear if it exists at all. When our main source markets of Britain, USA, Canada and Europe sneeze we get a cold. And when they get a cold we get double pneumonia! The small economies of the region rely on the world economy to be successful. While Governments like to take credit when it is going well it seems that they forget that they really have no influence on such. A focus on how to keep the local economies stable so as to give us at least some resistance to the world markets would be the best approach. Barbados still offers the most safe investment client of the markets we reviewed, as there is depth and diversity of product not available in the others. In simple terms if I wanted to choose industrial or commercial real estate investment I would focus on Trinidad. If I were looking for a boutique hotel investment I would look to St Lucia and Grenada. Drivers for a vacation home investment go far beyond the factors we considered above and really come down to emotion and taste. Just like the Olympics there will be a champion in each discipline – but not everyone likes them all.